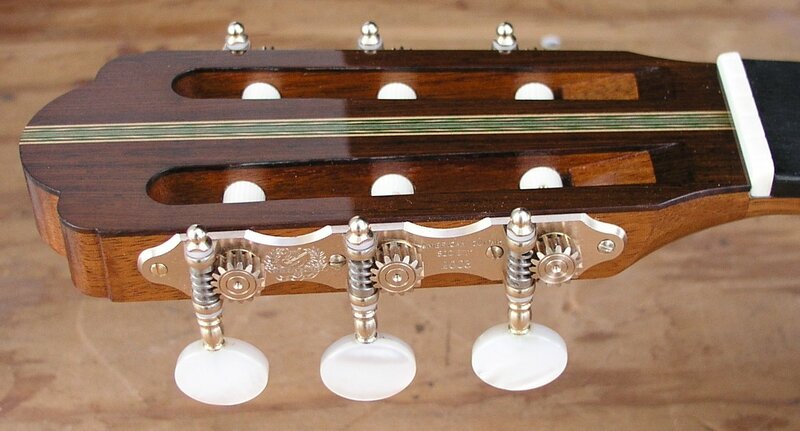 Tuners: Alessi Hauser model with one of a kind engraving of the AGS logo. Special hand engraved Nico Alessi tuning machines designed for this special guitar for the American Guitar Society 80th anniversary. Strung up and ready to go to CSU, Northridge for the International Guitar Research Archive Exhibit. The American Guitar Society was founded by Vahdah Olcott Bickford in 1923. 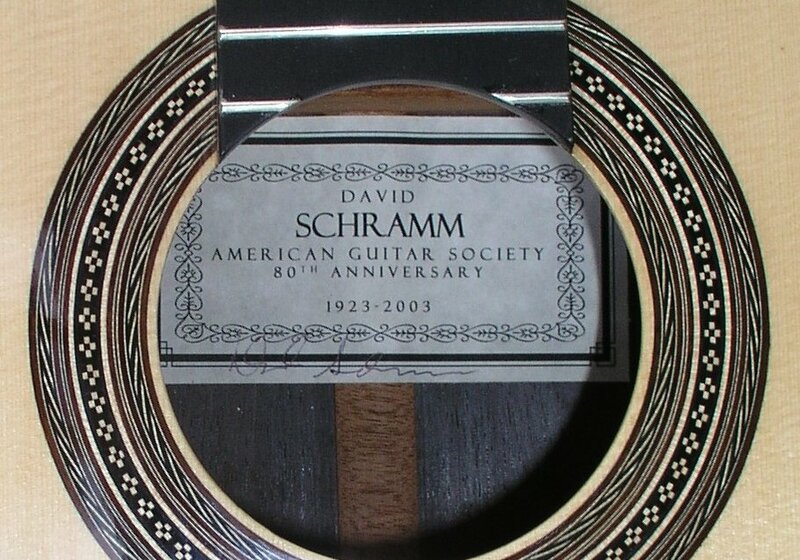 It was the first guitar society established in the United States in Los Angeles,California. The idea to build a guitar for the 80th anniversary of the AGS came to me during a visit to Dr.Ron Purcell's home in 2002. Dr.Purcell was my private instructor while I was a student at CSUN in the 1980's. Since that time we have become close friends. 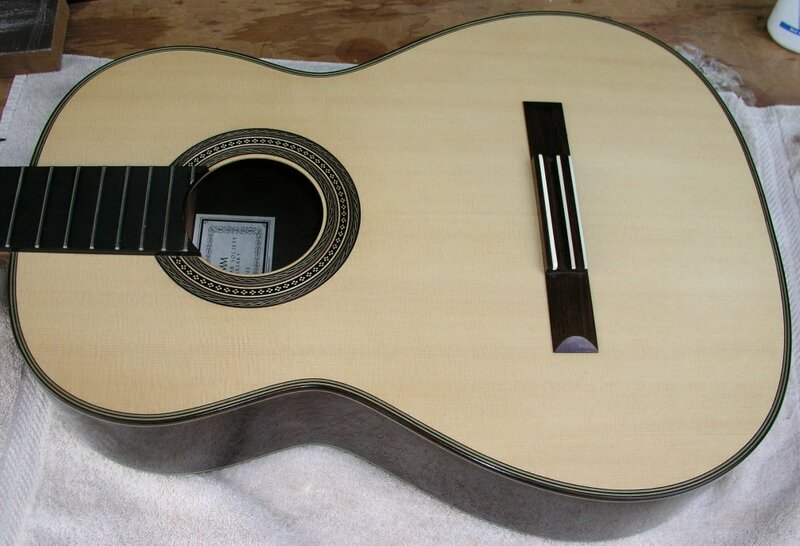 During this time I was teaching an online guitar making course as a Hauser guitar as the project. During a visit to a dealer in Southern California I was able to examine Pepe Romero's 1937 Hauser. 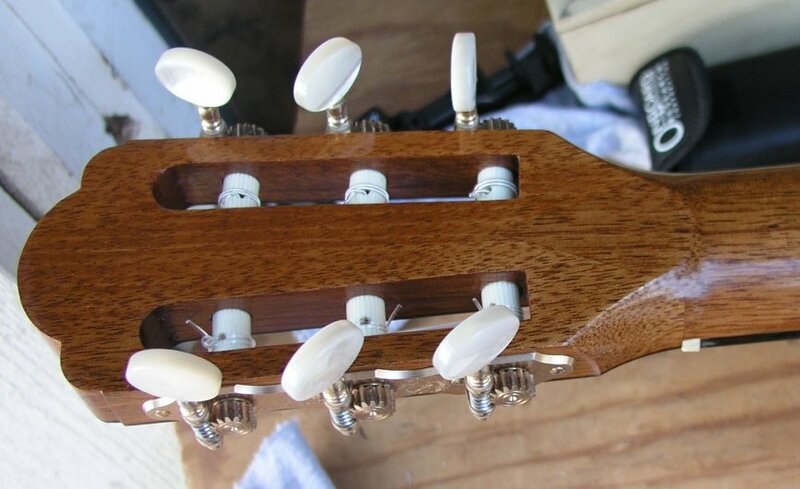 I was stunned at the accuracy of the guitar that I had built compared to the original. This experience sparked the idea to introduce a Hauser model, but not any Hauser model.I've been driven to build the best possible Hauser replica offered today. In 2003 I started my masters degree in guitar performance and will be completing it in Fall 2005. During my studies I wrote a research paper that was published by the Hauser family website. 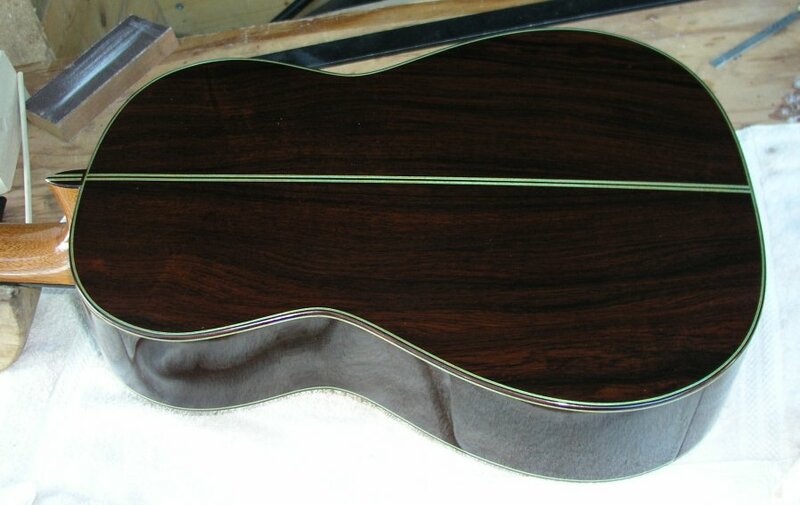 Top prior to string up the guitar. 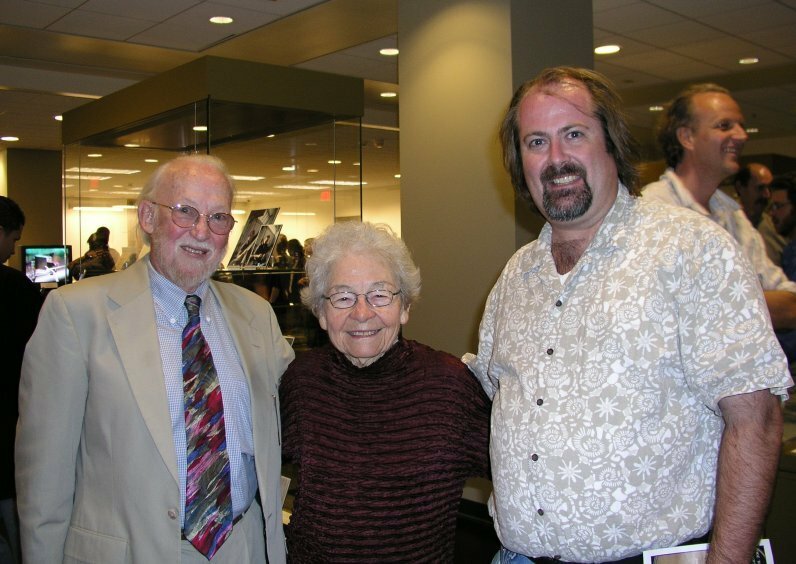 Dr. Ron Purcell(IGRA director/founder), Delores Rhoads, and David Schramm contributors to the IGRA exhibition October-November 2005 held at CSU, Northridge Oviatt Library. On display at the Oviatt library for the IGRA exhibition October-November 2005 at CSU, Northridge. More to come! Check back weekly.